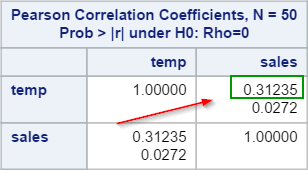 The correlation coefficient (r) can be used to measure the strength of association between two variables. 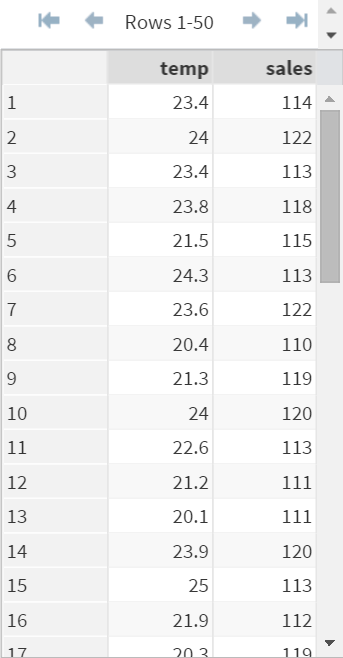 The ICECREAM data set contains the list of ice-cream sales and the daily temperature for 50 days. The owner of the ice-cream truck wants to find out whether the ice-cream sales is associated with the daily temperature. The correlation coefficient (r) between ice-cream sales and the temperature is computed. 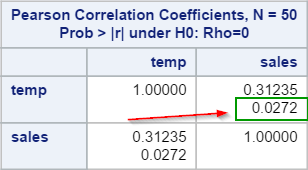 The correlation coefficient is 0.31235. This indicates a weak positive correlation between temperature and ice-cream sales. When temperature goes up, the ice-cream sales tend to go up as well. 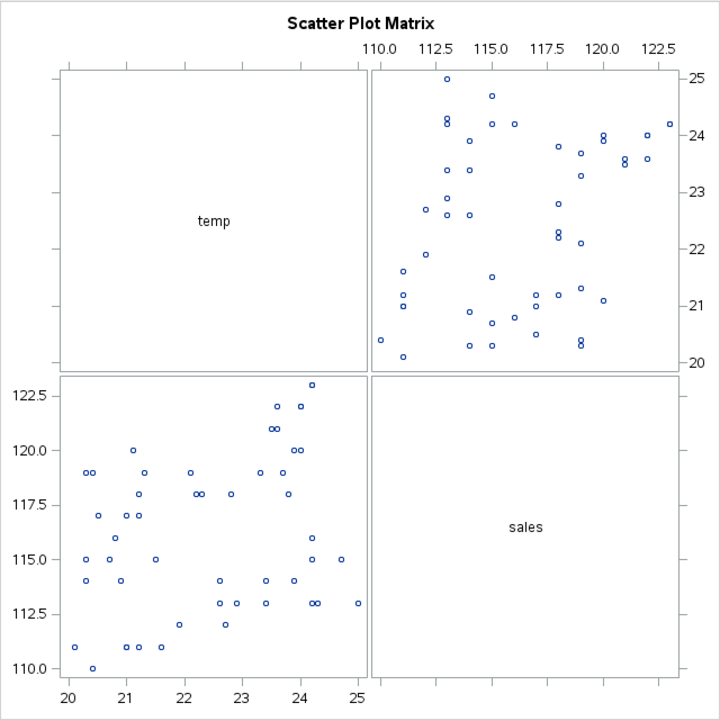 You can also plot the correlation matrix using the PLOTS option. A slight upward trend can be seen from the plot. This rejects the hypothesis that r is 0. The positive correlation found from the samples is unlikely to have happened by chance. The WINE data set contains the price and demand for a list of wines. Compute the correlation coefficient between the price and demand of the wines. Briefly describe the association between the two.